If you have read A Court of Torn and Roses, I suggest you throw everything you read out the window, because ACOMAF changes the whole end game! I cannot tell you enough how much I LOOOOOVED this book. From the writing, the characters, the suspense, the world building, the romance, duuuuuuude, the ROMANCE is freaking HOT! 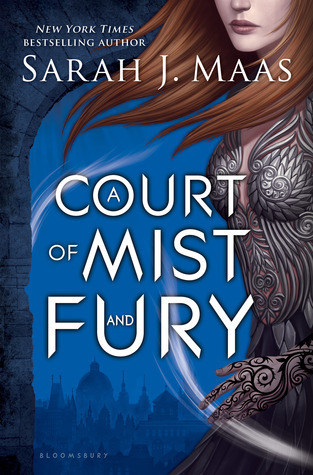 If you had a doubt that this series was new adult, ACOMAF just confirmed it! There is only one name/word that brings me to my knees whenever I think about it, and that's RHYS!!! This was me while reading the ACOMAF! Yeah there were many of these too! Yeah, so it's an emotional roller coaster for sure, but I wouldn't change a thing! Well, may the amount of time we have to wait for A Court of Wings and Ruin. Niiiice! That's what I've heard about ACOMAF! I STILL need to read it! I don't know how I fell so behind! Things are just hectic and I want to devote good time to this one, like consistent days off to just read time. Sadly there's none of that in my future. I need to read her books! Thanks for the fun review!